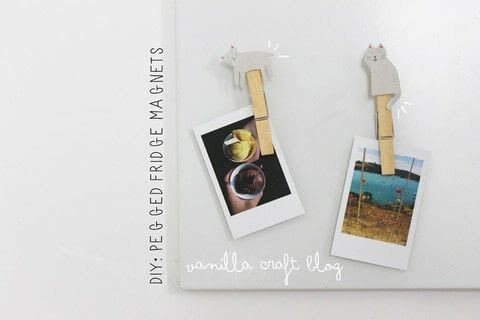 https://www.cutoutandkeep.net/projects/diy-pegged-fridge-magnets • Posted by Harri W.
create your own pegged magents with your drawings on top! Cut out small shapes out of card stock. I did cats!